Summer hours: daily from 7 a.m. to 9 p.m. 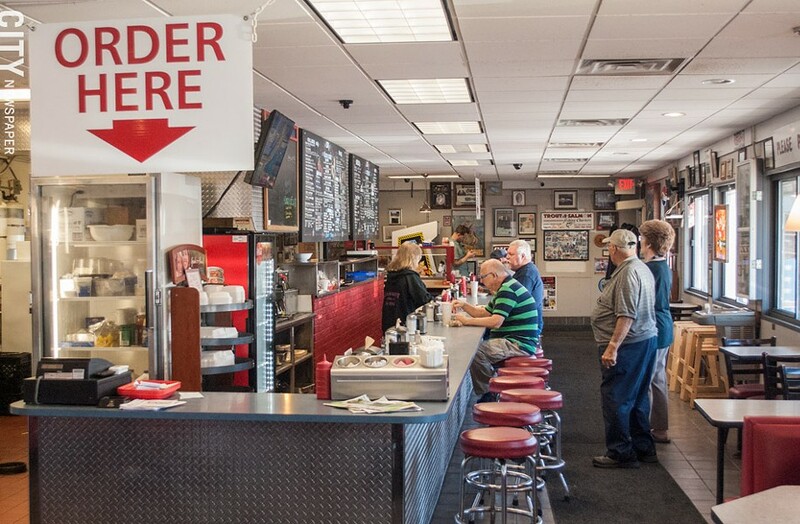 I'd long thought of the venerable LDR Char Pit -- on Lake Avenue in Charlotte since 1945 and named after the original owner's children (Linda, Donald, and Richard) -- as a classic beach-side burger joint. While I wouldn't dismiss that appellation, LDR also fits squarely in CITY's ongoing series exploring local diner institutions. Is it friendly? Check. Legions of regulars? You bet. Long-time servers? Indeed -- some have been there for decades. Convivial? Yup. Basic, home-cooked, fresh food, for good value? For sure. Rice pudding as a dessert option? It's there. Breakfast, not only on the menu, but served all day? That's a clincher. Through years of burger-binging, I can attest to the deliciousness of those at LDR, which are first cooked over charcoal (putting the "Char" in Char Pit), then finished on the flat-top grill. This method augments LDR's commitment to cutting and grinding its own beef, as the sign on the front of the building prominently and proudly proclaims. But my visits for this story needed to go beyond burgers. Once inside LDR you immediately encounter a long counter with about 20 stools, and beyond the counter is an assortment of tables and booths. Everything is surrounded by walls festooned with a collection of vintage Charlotte artifacts including black-and-white photos of landmarks, maps, lighthouse blueprints, and framed newspaper articles. Sitting at the counter affords diners a look at two large menu boards -- one for breakfast items, one for everything else -- along with a view of the entire cooking area and the opportunity to take in the repartee between servers and cooks. The interior of Charlotte staple LDR Char Pit. No matter where you sit, all ordering and payment takes place at the counter, except for a Friday-night tradition of table service (and fish frys). At each end of the counter is a condiment bar with mustard, ketchup, relish, both dill and sweet pickles, sliced banana peppers, chopped onion, and a meaty homemade Rochester-style hot sauce (kept warm) that I found delightfully tangier and spicier than many. On the first visit, I ordered one of LDR's signature menu items: the steak bomber ($9.75): LDR's "famous" ribeye steak (chopped) on a grilled Di Paolo hoagie roll, topped with finely chopped bacon, mushrooms, and mozzarella, with a side of French fries, to which I added a side of gravy for dipping delight. Requiring a bevy of napkins, this sandwich is a hot, mouthwatering mess. My girlfriend, Molly, had a Rochester Turkey Reuben ($7.95). LDR roasts its own turkey, which is thickly-sliced and browned for this sandwich, and assembled with Swiss cheese, coleslaw, and Thousand Island dressing on expertly-browned rye bread, creating a Reuben that is on par with any in our fair city. The "Famous Homemade" onion rings ($4.15) she ordered are "famous" for good reason and among the best I've had anywhere. Large in diameter, thickly hand-cut, and made with LDR's own batter, they are crisp, hot, and importantly, when bitten the batter and onion come away in equal proportion. Beyond burgers -- LDR's menu offers a Rochester Turkey Reuben and 'famous' onion rings. On an ensuing breakfast visit, Molly had raisin French toast ($5.45), and the cook staff agreeably accommodated her request for well-done toast. She declared the dish "nicely eggy and light." LDR uses real, fresh-cracked eggs, rather than the eggs from a carton used by others. I opted for the homemade corned beef hash ($7.55), which comes with two eggs, home fries, and toast. With my over-easy eggs served on top of the pleasantly salty and finely-ground hash, next to chunky home fries, my meal resembled a breakfast-y garbage plate. Our third visit included Molly's daughters. LDR offers seven versions of Rochester "Plates," and the Red Plate ($8.05) was perfect for Jocelyn, who likes her hot dogs sans-bun. 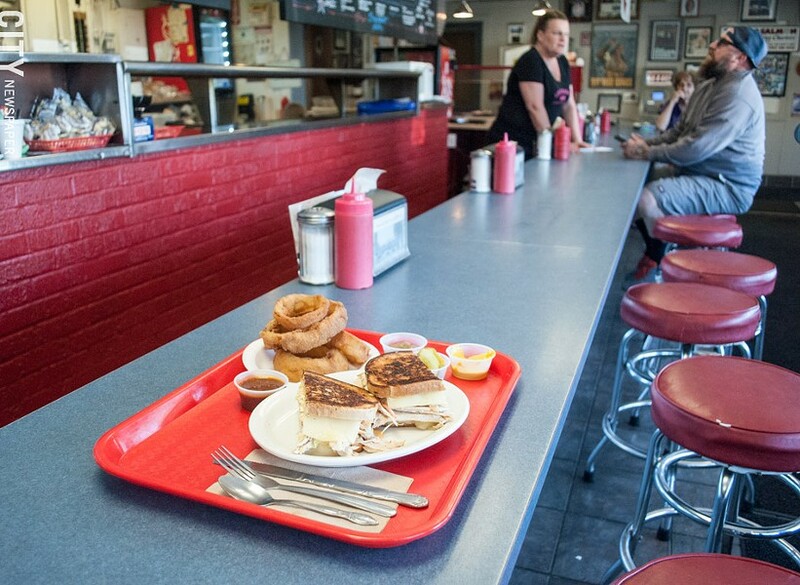 She chose French fries and baked beans for her two sides, and called the restaurant "cozy and lively." Norah savored a grilled cheese sandwich ($4.15), with French fries ($3.05) on the side, which she described as "crisp and delicate." Seeing as it was Memorial Day (and that I was seriously hungry), I opted for the Red, White & Blue Plate ($10.75), which features a Ground (LDR's parlance for burger), a Zweigle's Texas (red) hot, and a Zweigle's white hot, and I chose the traditional home fries and mac salad to complement my meats. This was a heaping helping of food, with nicely charred hots. The only quibble I had was that the plate home fries are the same as the breakfast home fries -- big and chunky, not the more familiar small, crisp dice. Unique to the Rochester Plate scene, the plates at LDR come unadorned; the typical mustard, ketchup, onions, and hot sauce are all applied at will at the condiment bars. 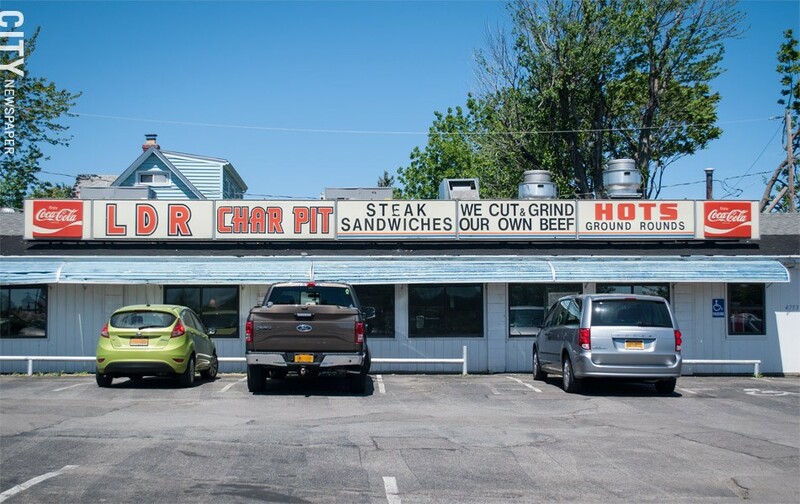 Manager Darcy Pusey believes that people have been coming back to the Char Pit for more than 70 years for the hand-cut steaks for sandwiches, the freshly cut-and-ground mix of top round and ribeye for burgers, the specially spiced batter for onion rings, the all-day breakfast service, and the friendly faces. The location by the beach doesn't hurt, either, at least during the warmer months. But business drops by more than 50 percent in the winter, and it's the regulars (whose orders many of the servers know by heart) who keep things afloat during the bleaker months. Combine a visit this summer with a day at the beach, and head back in the winter when the pace slows down. Each time, you'll enjoy both a familiar comfort and a tasty meal at a good value. And don't forget the onion rings.